Perhaps the "NICEST" vintage Riggen HO collectible? You are not going to believe this one. My son and I were unpacking my slot collections that have been stored away for maybe 12 years. 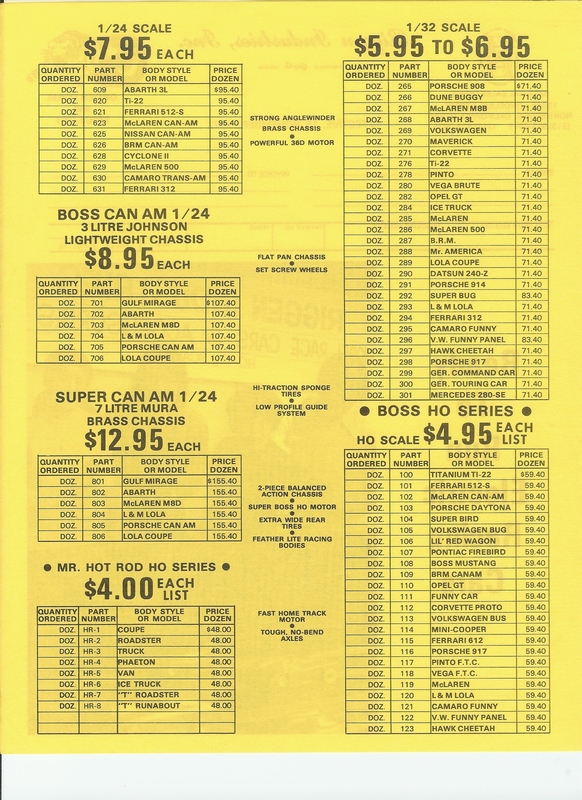 I knew that I had a few mint in the box Riggens and recalled a black VW acquired as one of my first. 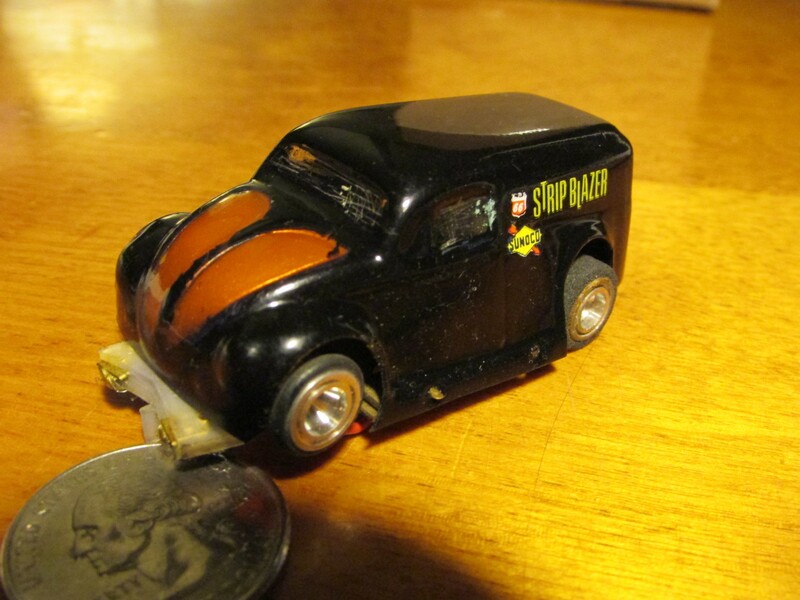 I think I purchased at a Parsippany show around the time I was buying 1/24th stuff. To my surprise we just found the VW Panel Van mint IN THE ORIGINAL PACKAGE w/ Orange tires , All the inserted paperwork AND THE ORIGINAL RECEIPT from a hobby shop in Framingham. It does not say which Framingham. The receipt is dated 1974. It is black , with gold hood panels , Black wheels , two flower stickers on each headlamp. I flipped when I unwrapped it. The box is one of those plastic black bottom large white sticker and BEST OF ALL , it has the side identification sticker, It is a rounded edge rectangle sticker with V.W. Funny Panel # 122 $ looks like 4.95 but someone blacked out the price. VW Delivery Van ---How do we know it's for real? Mystery solved with convincing authentication! This body style had been seen in 2004 by the author, a jpg sent by a fellow collector asking for an opinion as to legitimacy. The body style is not mentioned in any Riggen literature that I had seen to date and had not been recognized by any other collector queried at the time. I posted an entry on the toybaron site with a picture and an uncertain description and left it at that. 18 months later, the same body style appeared in an ebay auction. I queried the seller asking about the provenance of the piece and if he could provide any more detail. He told me that the item came in a collection of cars he had bought in the 90's and said the previous owner was a designer for Riggen, Dynamic and Aurora (They always say that right?). The collection included many cars of all scales (primarily Riggen) as well as some prototypes made for his various employers. Now having seen two of these, I decided I could not afford not to have a copy and the car looked very cool anyway. I was aggressive and won, beating out a Slot Car/Volkswagen lover from Sweden for the prize. During the same week (Nov 4, 2005), while searching ebay I came across a listing for two Radio Control car bodies made by Jerobee/Riggen. The lot consisted of two bodies with their boxes, and some decals and paperwork. Not having seen these before, or even positive that Riggen was involved with RC (Now I know they were, see this picture), I bought these items for $35. 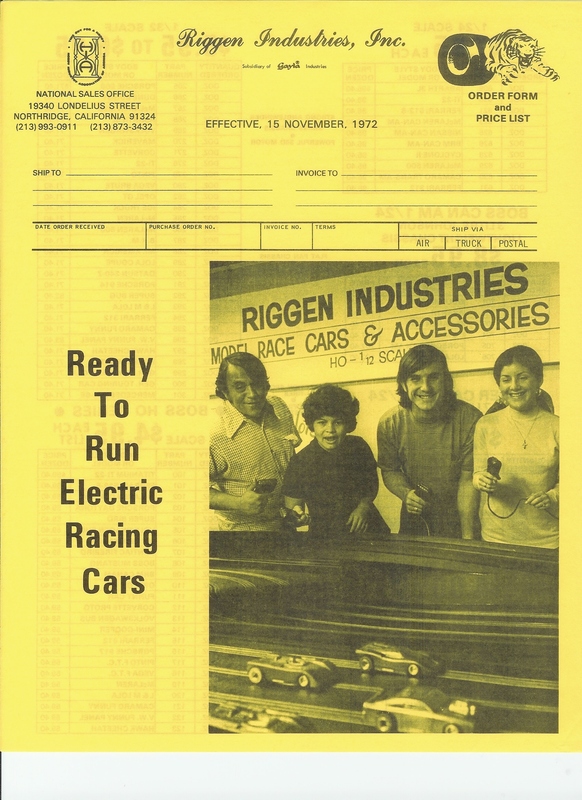 Both boxes had end labels which included Riggen Industries, the standard "Tiger" logo, the proper address, and another graphic of a race car with the text "Bodies by Garcia" on the label. The letter is signed: Jack Garcia! And just to nail the lid shut, there was also letter signed Jack Garcia included in one of the RC Car Boxes! 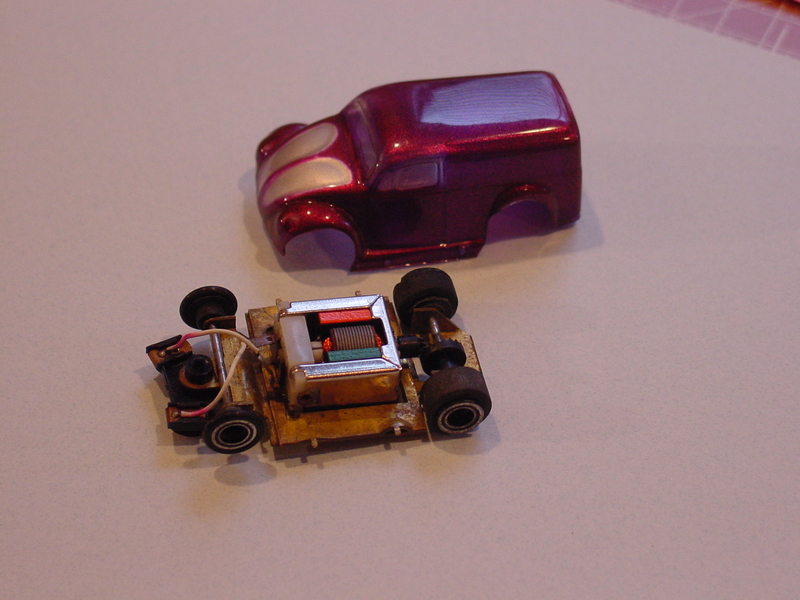 Jack Garcia was a modeler for Riggen during the Gayla era, ivolved in R/C, and R and D. The purple van comes from his collection. The letters almost certainly prove that this Jack Garcia is the same man that worked for Riggen. The story continues...at the Pete S show in NJ on Nov 20th, 2006 I had a small display set up with some RiggenHO. A serious racer and I start discussing vintage racing and collection. He is a VW fan. He has two Riggen cars. One is the VW Delivery Van! That makes three I know of---any more out there? Please get in touch!